I was pretty excited to read this novel. I actually started to get nervous at how excited I was. I thought that if I built it up too much in my head that I might be let down. But I wasn’t. In my opinion, this was a phenomenal read!! Venus Black is a high school student. Her teachers often told her mother how wonderful it was to have Venus in their class. Her mother wished that Venus was “ such a pleasure” at home too. Venus wonders why her mother never questioned that there may have been a reason why she was the way she was at home. Venus believes that one small choice, action, or event; can change the course of your entire life. She wonders what small thing may have changed the course of her own life..
Because you see, Venus has committed a horrific crime that has landed her in jail and torn her family apart. Venus doesn’t deny that she did do something awful…but she refuses to say why she did it. But one thing Venus will say is that it’s her mother’s fault. Five years later, Venus is released from the Juvenile Detention Centre. She wants to be somewhere else….somewhere no one knows who she is or what she’s done. So with a suitcase of old clothing and a new name, Venus is off in search of a new life. But in order to get a new life, she may have to let go of the one thing that helped her through these horrible years. But if she lets go of that anger then she may have to face the past, the feelings, and the guilt. Venus is afraid she’ll fall apart or that she’ll be betrayed again. But with the help of some unexpected new friends, Venus may actually be able to finally stop running from her past and hiding who she really is. But it will still take a HUGE leap of faith for her to come back….as Venus Black. WOW! What an excellent read. I REALLY enjoyed this DEBUT novel. The novel takes place in the eighties which I thought worked really well. I LOVED knowing what was going on inside the character’s minds… especially Leo’s and Tessa’s. There wasn’t an overload of violence, which I appreciated. Some situations may still be triggering to some readers though. It’s definitely an emotional read, but I feel like the author handled sensitive situations extremely well. A story about betrayal, love, family, and forgiveness. Well written and easy to follow, I thought the story flowed well, and I was happy with how it all came together in the end. I think that different readers will take different things from this novel. But in my opinion, this is a wonderful young adult novel that many readers of all ages will enjoy. 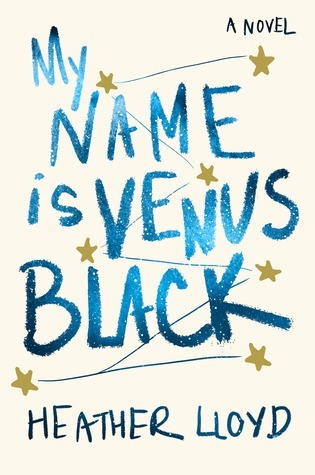 “My Name is Venus Black” was an honest and engaging read with a great plot and relatable characters. I’m very happy to have had the opportunity to read this novel, and I’m really excited to see what Heather Lloyd writes next! I’d like to thank Random House/Dial Press and Heather Lloyd for giving me the opportunity to read this novel in exchange for my honest review. Melanie May, a small-town cop hungry for the big time, risks her career to convince a troubled FBI profiler of the identity of a serial killer, only to realize that the profile she’s created fits someone in her own life — and that the killer won’t stop…until all fall down. 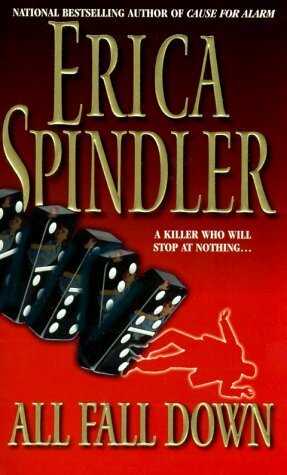 I haven’t read an Erica Spindler novel in quite some time, but I hope to change that very soon. I happened to come across this book today and it has had me wondering if I would still love this as much now as I did then. The fact that I can remember so much about it after all this time (15 years!!) has me thinking I would probably still would. Full of suspense and crazy twists and turns. This was an awesome read. I really hope to read it again some day. 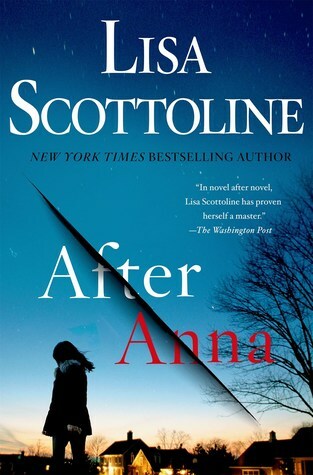 I’ve read quite a few of Lisa Scottoline’s novels over the years and have always enjoyed them. However, I have to say that I enjoy her stand-alone novels the most. I especially enjoyed her last novel “One Perfect Lie”. And after reading the description for this new domestic thriller, I was really excited to get reading. Maggie and Noah are getting a second chance at a happily ever after. And on top of that, Anna, Maggie’s daughter has come to live with them. Maggie hasn’t seen or spoken to her daughter since she was an infant. Anna is now seventeen years old. Her ex-husband had won custody of Anna at just six months old. But now she’s back and Maggie couldn’t be happier. Finally, her family is complete. Her stepson and husband are just as happy as Maggie to have Anna come live with them, and at first everything is great. However, it’s not long before there’s a strain in the family, especially between Anna and Noah. Noah thinks that Anna doesn’t like the rules and that she’s manipulating everyone, but Maggie doesn’t see it. But then disaster strikes….and suddenly Noah is fighting for his freedom. Will he lose the family he cherishes? But if he didn’t do what he’s accused of…who did? In my opinion, this was a well-paced and engrossing read that I sped through in just a couple of sittings. The story is told from both Maggie and Noah’s point of view and alternates chapters with Maggie “before” and Noah “after”. Honestly, I was pretty sure I knew one of the twists early on. However, it didn’t really bother me. In fact, I read even faster because I wanted to see if I was right. And I was right…partially. The rest of it, I would never have guessed. There were a couple of little things that threw me but overall, I really enjoyed this novel. The last few chapters were especially gripping and I was on edge wondering how it was going to work out. I do wish the ending had a little more to it. I think just a few more pages would have been very satisfying. I’m really looking forward to seeing what Lisa Scottoline comes up with next!